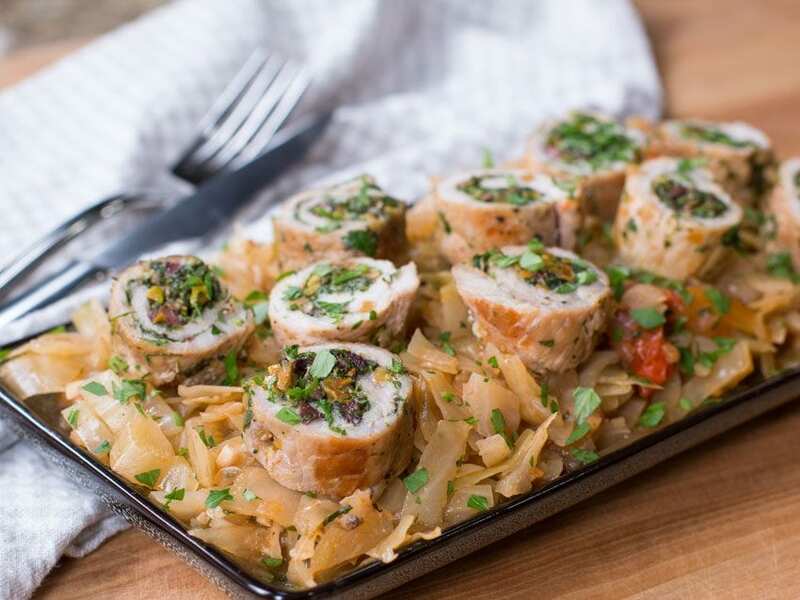 Two Whole30 breakfast ideas for this meal prep recipe. I've got a Whole30 approved breakfast skillet and a Whole30 egg frittata. 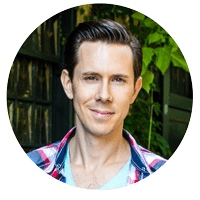 I've got two Whole30 diet breakfast recipes that you guys are going to love. 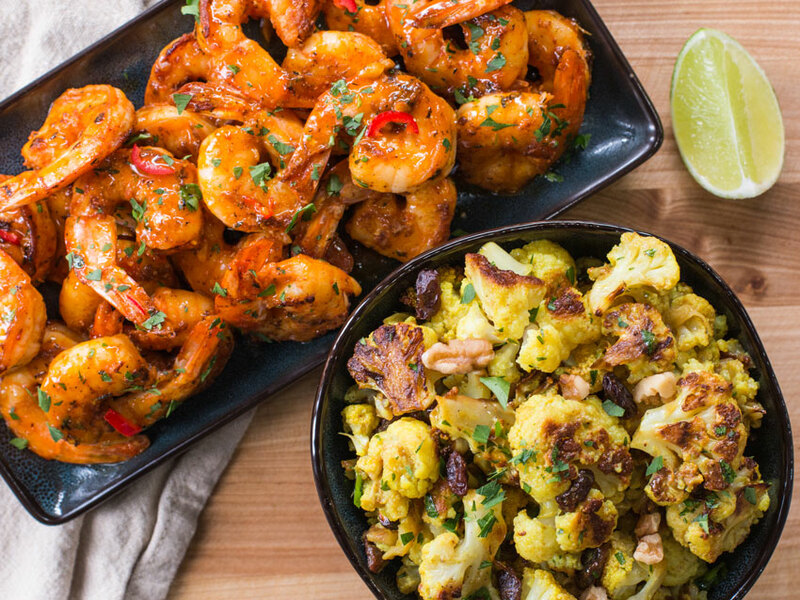 Both recipes use the same exact ingredients, are easy to make, and Whole30 approved! 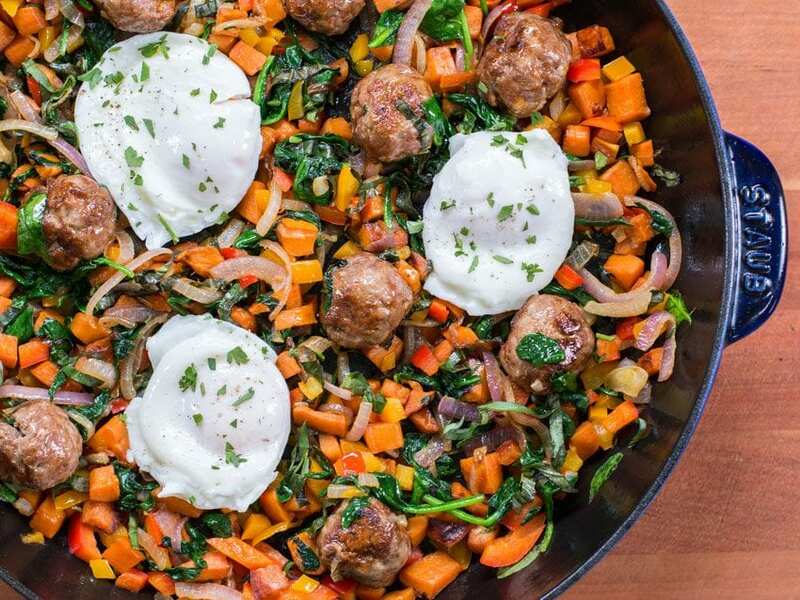 First up, this Whole30 diet approved sausage and sweet potato hash recipe is super creative and perfect for breakfast meal prep. If you don't like ground lamb, you can use any ground protein. 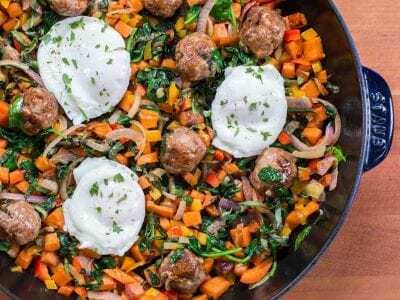 Who doesn't like mini meatballs studded all over a sweet potato hash with runny poached eggs, I told you, this is breakfast meal prepping done right! 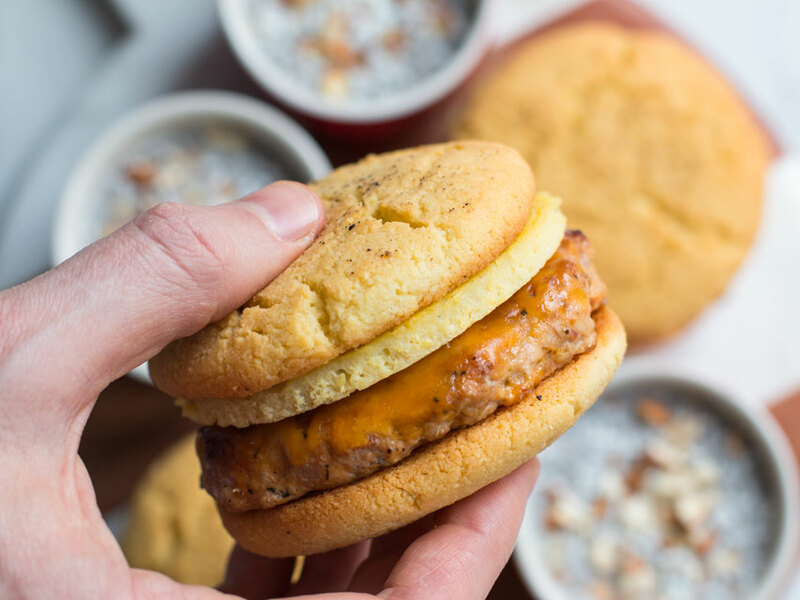 This Whole30 compliant breakfast recipe is seriously creative and tasty. 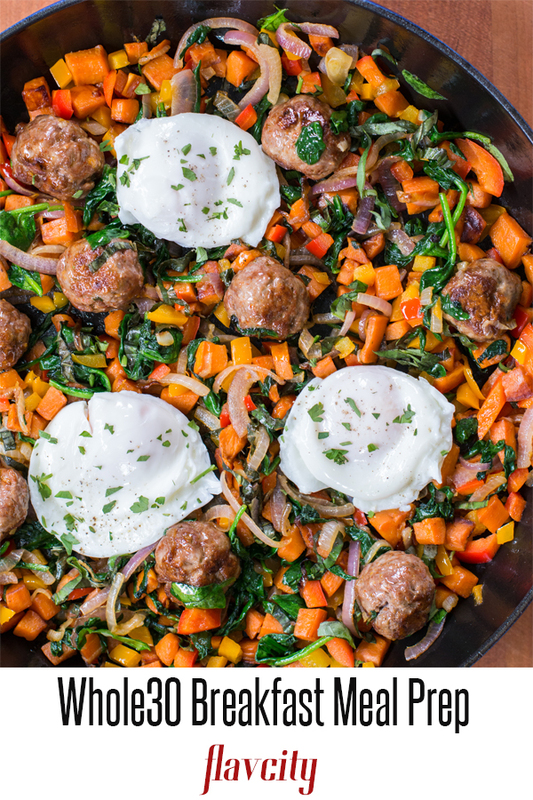 Next, is Whole30 approved sausage and sweet potato frittata, it's full of flavor and perfect for breakfast meal prep. 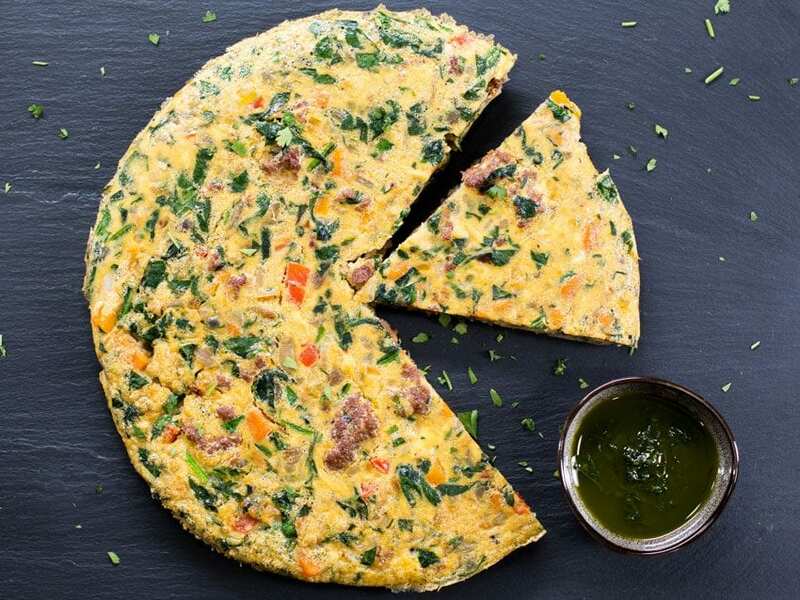 This frittata is loaded with veggies, homemade sausage, and topped with basil oil, perfect for breakfast meal prepping and totally Whole30 approved.